On many occasions in St. Cloud, Dotoo Nebi noticed that something about his slim body, average height and dark complexion sorts him into a community he technically doesn’t belong to: Somalis. Indeed, they’re from a different country. Nebi, for example, hails from the Agarfa village of Ethiopia, an East African country of more than 94 million people. Twenty-six years ago, Nebi was born into the country’s largest ethnic group, Oromo, which has spent decades fighting against the Ethiopian authoritarian regime for recognition and independence. That struggle still continues in the region, giving birth to a seething unrest that has uprooted many families, including hundreds who made St. Cloud their home. That fear finally brought Nebi to St. Cloud, where he now serves as the executive director of the Midwest Oromo Community, a nonprofit organization that provides service to his Oromo community in Central Minnesota. The soft-spoken leader is at times surprised that many people here don’t differentiate his community from the Somalis. Geshe Hassen, another member of the St. Cloud Oromo community, said he had a similar experience. Many times, he said, people are genuinely confused — they just don’t know much about the Oromo community and its history. Members of the broader community aren’t the only people who misidentify the Oromo group. Hussein Mohamud, who is a Somali, said he speaks in Somali with Oromo people when he sees them on the streets. Nebi’s story is different from that of Somalis — and it’s remarkable in its own way. He came of age at a time when writing in his native Afaan Oromo language was a crime in Ethiopia. The language had remained nothing more than an oral tradition until in the early ’70s, when leaders of the Oromo Liberation Front made Afaan Oromo the official language in the areas they controlled. In response, the former Ethiopian dictator Lt. Col. Mengistu Haile Mariam banned the language in the country. Nebi, however, secretly learned to write and read it from his father, Kedir, who had also taught scores of others in the Oromo community. When Mengistu’s government collapsed in 1991, Nebi’s father joined the liberation movement for the betterment of the Oromo people — risking persecution. About a decade later, life in the region became too dangerous for Kedir; he moved to the United States in 2001. Nebi, on the other hand, moved to Kenya with his family of eight in 2004. 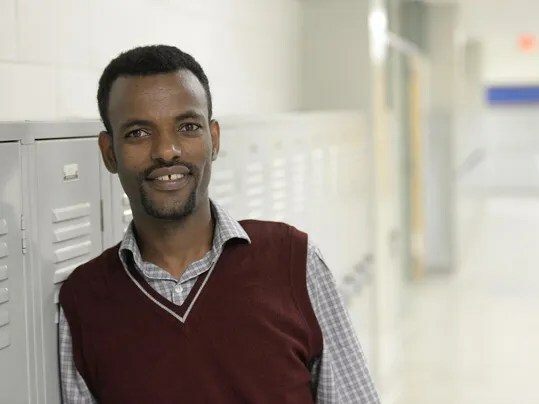 Two years later, Nebi, who completed his middle and elementary school education in Ethiopia, came to Minnesota in 2006. “When I came here, I didn’t know English,” he said, adding that when he sat for the exam for placement at Arlington Senior High School in St. Paul, he wrote the exam in his native language. His math and science skills, though, were above average. When he began to study biomedical science at St. Cloud State University in 2008, he worked as a math and science tutor at the university’s campus. Through the Midwest Oromo Community, Nebi said he hopes to educate St. Cloud residents about his Oromo people — a community that has both Muslims and Christians, whose language and country is different than Somalis and their homeland. According to Nebi’s estimation, St. Cloud is home to more than 500 Oromo people who started arriving in 2008. Many of them struggle with language and cultural barriers as well as education and transportation issues, Nebi noted. Some members of the community applauded Nebi for his service. 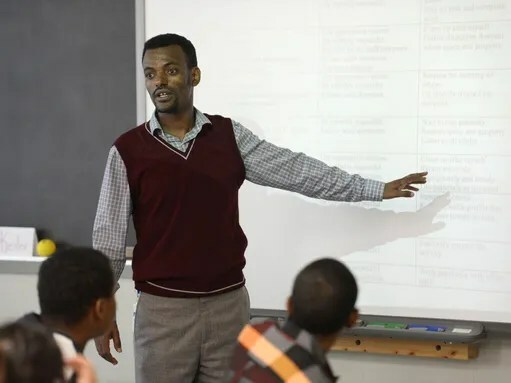 Since Nebi became the head of the Midwest Oromo Community in 2013, he’s created several educational programs and services to empower his community. They are aimed at older people, women and youth in the Oromo community. Follow Ibrahim Hirsi on Twitter @IHirsi.